We had the privilege of visiting the Chinese Catholic communities in Toronto this August. 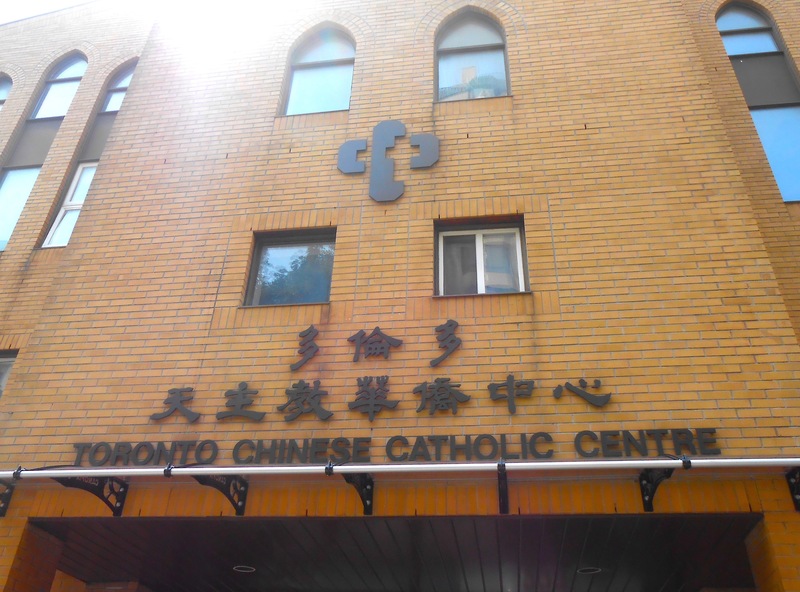 There are four Chinese Catholic parishes and one mission in the Toronto area. There are over 15,000 registered parishioners at Chinese Martyrs Church and about 5,000 at St. Agnes Kou Ying Tsao ( a newer parish). Fr. Andrew Deng CSJB and Fr. Francis Chong CDD, pastors of the churches have done an exemplary job at serving the Chinese living within their parishes. While there we participated in daily Holy Mass, bible sharing and parish get-togethers. We were able to distribute the Chinese Saint Holy Cards that our apostolate produces to all the parishioners.